Reverse Geocoder – retrieves the location of the town/city/country and other info from the given latitude and longitude. An internet connection is required. You may have to give AC permission, if you haven’t already, to get this information. This is a service provided by Apple. This information is not collected or used by AC. Tap or click over a screenshot to enlarge. Importing Quick Charts into AC – progress. You will only see the No. 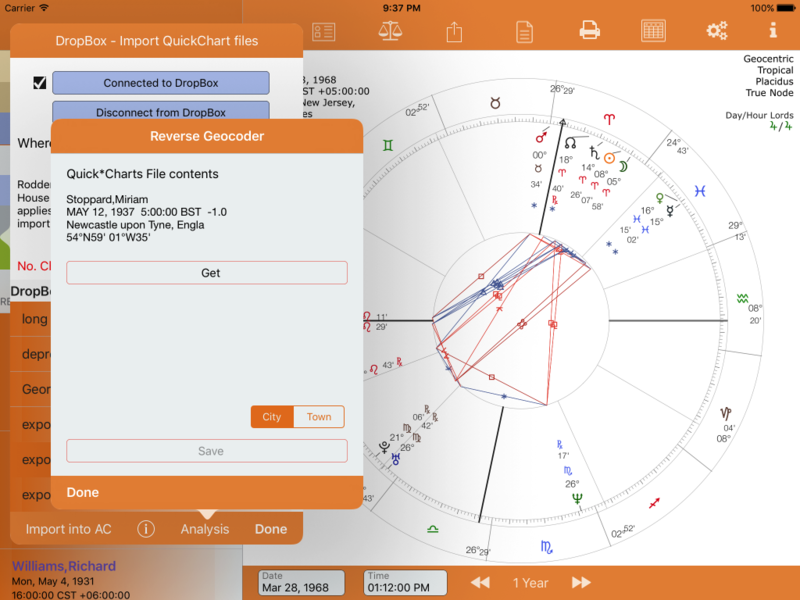 of Charts being counted down if the Quick*Charts file has more than (approx) 50 charts. Less than this and the import is too rapid. 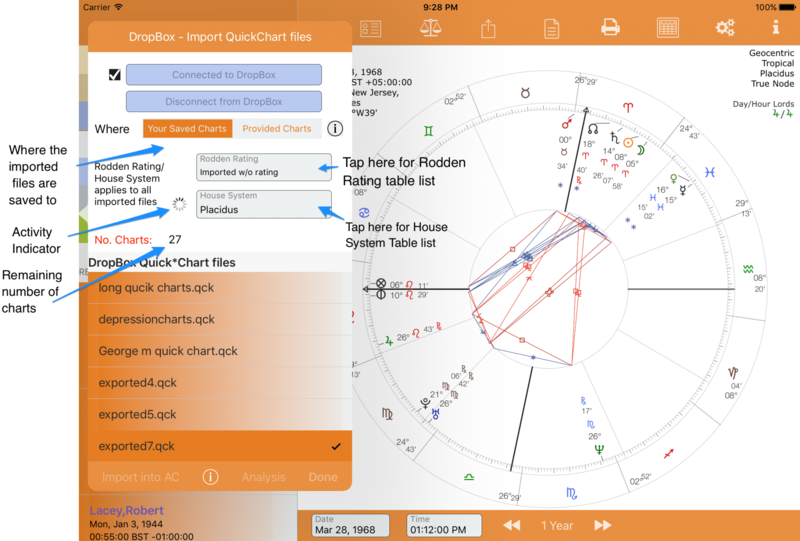 A Time Zone error is a generic name for the many reasons the chart could not be imported into AC. Newcastle-upon-Tyne is different from Newcastle upon Tyne. If the AC geographical database holds the name as Newcastle-upon-Tyne, but the quick chart has it as Newcastle upon Tyne it will be rejected as a Time Zone error. 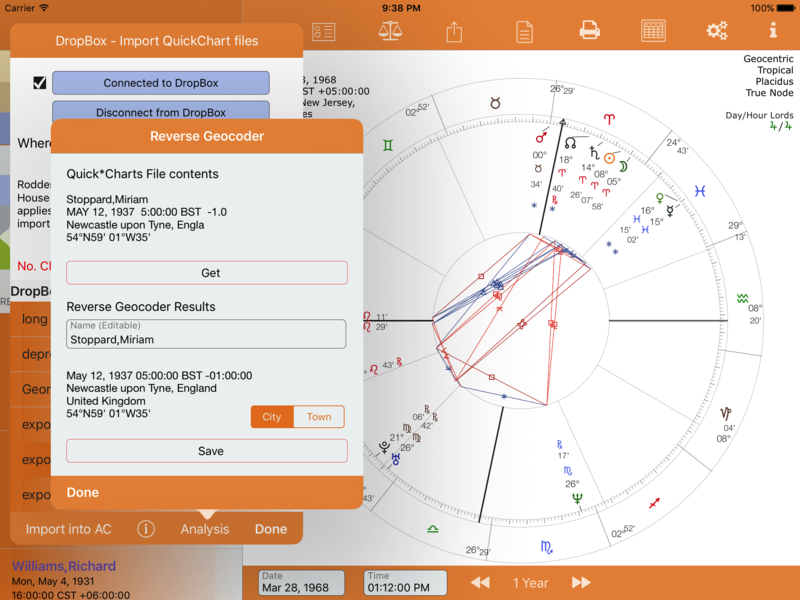 The reverse geocoder will allow your Time Zone chart to be saved to the AC charts database. 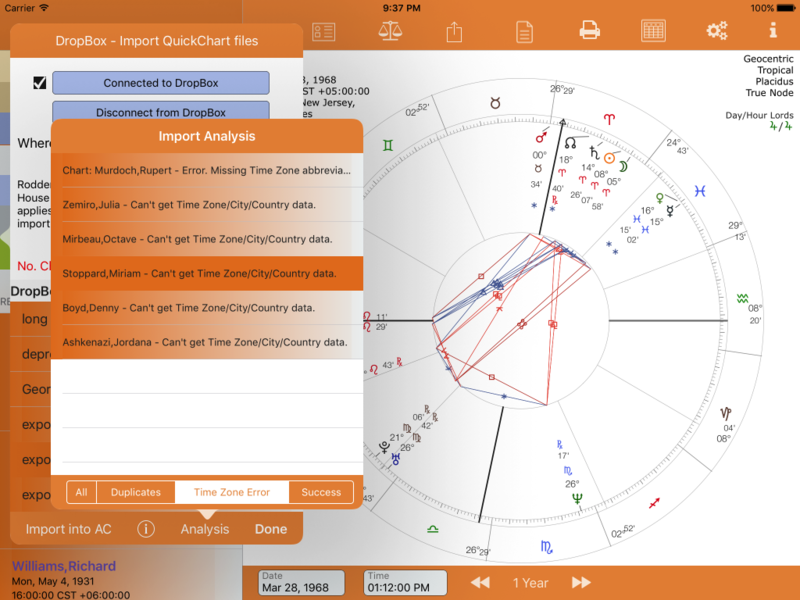 All the quick charts that can’t be imported because of a Time Zone error are listed by selecting the Time Zone Error button – see the screenshot below. The geocoding service which supports CLGeocoder is not meant to batch geocode locations, but is meant to be used as necessary as the device moves, and places and addresses need to be shown to the users. Selectively and sparingly. If you must, the general rule of thumb is to not send more than one geocoding request per minute.